Original Medicare is divided into Hospital Insurance (Part A) and Medical Insurance (Part B), which are run by the federal government. Medicare Parts C and D are provided by private, Medicare-approved insurance companies. Part A is Hospital Insurance and covers costs associated with confinement in a hospital or skilled nursing facility (but not physician’s fees). Part B is Medical Insurance helps cover physicians’ services, outpatient care, diagnostic tests and supplies. 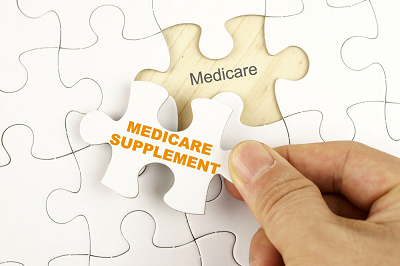 Part C (Medicare Advantage)plans provide benefits and services covered under Parts A and B and usually offer additional coverage such as vision, hearing, dental, and/or health and wellness programs. They also impose a maximum liability cap for the beneficiary. Plans usually include prescription drug coverage. Part D (prescription drug coverage)plans help cover the cost of prescription drugs and are available for an additional premium. If you are receiving Social Security or Railroad Retirement Board (RRB) benefits you’ll automatically get Medicare Parts A and B starting the first day of the month you turn 65. If you do not want to enroll in Parts A or B, you should decline coverage by following the instructions on your Medicare card. Approximately 99% of Medicare beneficiaries receive premium free Part A hospital insurance. If you are among this group, there is probably no reason to decline Part A coverage. Part B requires premium payments that is based on your income. If you don’t decline coverage, the Part B premium will be deducted automatically from your Social Security or RRB benefit. Click www.medicare.gov for additional information. If you are not yet receiving Social Security or RRB benefits when you turn 65, you have to enroll in Medicare. There are three enrollment periods for Medicare Parts A and B. Initial Enrollment Period – To avoid penalties, you should enroll during your initial enrollment period, which starts three months before the month you turn 65 and ends three months after the month you turn 65. Open Enrollment – In the Fall of each year during Open Enrollment (October 15 to December 7), you may change from Original Medicare to a Medicare Advantage plan, or change Medicare Advantage plans. The new coverage would begin on January 1 the following year. During the 8-month period that begins the month after the employment ends or the group health plan insurance coverage ends, whichever happens first. Most Medicare beneficiaries choose to go beyond Medicare Parts A and B. Part A has hospital deductibles and Part B has a 20% co-insurance liability, with no limit on your out of pocket expenses. Medicare Supplement and Medicare Advantage plans eliminate or reduce the co-insurance and deductibles under Medicare and place a cap on liability. Each individual and/or family situation is unique. We can guide you through the Medicare Maze, simplifying the process so that you end up with your most efficient plan(s). Premiums for Parts A – Medicare Part A is generally premium-free if you or your spouse paid Medicare payroll taxes for at least 10 years (40 fiscal quarters). Premiums for Part B – Medicare Part B requires premium payments that are based on Adjusted Gross Income (AGI). We can provide you information on Medicare Supplement plans with all the insurance companies. Insurance Companies offering Medicare Supplement type plans in your area are mandated to offer the same coverage, but may offer it at different prices. AFS can shop the various plans for the best price for you.